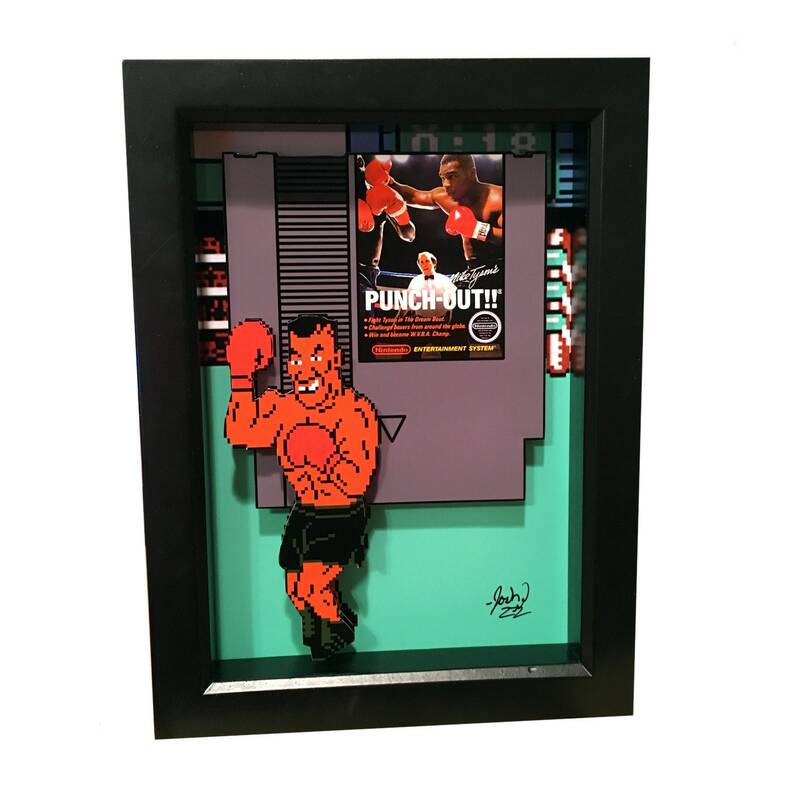 This video game art is inspired by the iconic Nintendo game Mike Tyson's Punch Out. The paper cut Punch Out cartridge is rendered in 2D, while Mike Tyson is in 3D. This is the perfect gamer gift!